Redness of the eye, or ocular redness, is a common ailment that may be a symptom of some ocular or even non-ocular disorder or can arise acutely with minor irritation or injury of the eye. It is often accompanied by itching. On its own, excessive redness of the eye is not serious particularly if it passes within a short period. However, redness of the eye associated with eye pain, swelling of the eye or eyelid or visual disturbances needs to be investigated further. The outer fibrous layers of the eye is composed of the central transparent portion known as the cornea which protrudes slightly from the surface of the eye ball. The sclera is the remaining outer portion which is commonly referred to as the ‘whites’ of the eye. Over these layers, at the front of the eye which is exposed to the environment when the eyelids are open, is a thin transparent mucous membrane known as the conjunctiva. How does a red eye occur? Redness of the eye is a result of vasodilation. This means that a blood vessel widens when the muscles in its wall relaxes and more blood flows through it. Normally the redness associated with blood is not visible or only slightly so. However, with vasodilation, the redness becomes prominent. The sclera itself has limited blood vessels while the cornea has no independent blood supply. These structures therefore derive its blood supply from the underlying uvea (iris, ciliary body and choroid). The blood vessels of note associated with redness of the eye is the conjunctival vessels, specifically the posterior conjunctival vessels which lie more superficially. These vessels are closely associated with deeper lying blood vessels like the anterior ciliary arteries which can also cause redness when dilated. Vasodilation is associated with the process of inflammation. Certain inflammatory chemicals causes blood vessels to dilate and for the vessels to become more leaky. While this is intended to help the immune system respond more rapidly to any invading pathogen, it does lead to symptoms such as redness and swelling. Therefore red eye is almost always associated with inflammation, be it due to injury, infection or other causes. The terms ‘red eye’ and ‘pink eye’ are sometimes used interchangeably. Red eye refers to any cause of redness while the term ‘pink eye’ is reserved for redness and inflammation associated with viral infection (viral keratoconjunctivitis). The eye, despite being white, does have some tinge of redness which is most noticeable at the corners of the eye (canthi). Even the slightest irritation of the eye can cause rapid vasodilation and redness. This quickly subsides once the offending agent is removed. However, when the redness is excessive and persists for a period of time then it needs to be assessed further especially if it is accompanied by other eye symptoms. 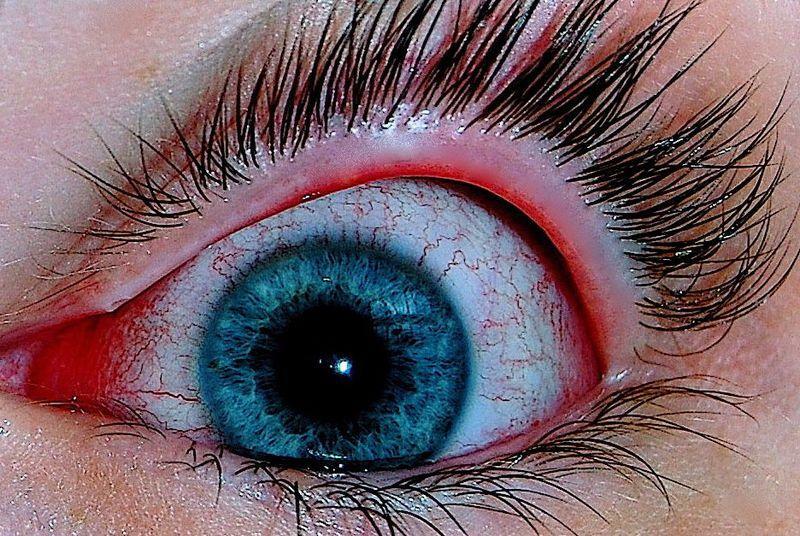 Redness of the eye is a common feature of inflammation due to any number of causes. This is most prominent when it affects the outer layers of the eye like the cornea (keratitis) or sclera (scleritis). These structures are coated by thin layers known as the conjunctiva (conjunctivitis) and episclera (episcleritis). Redness may also originate from the deeper structures, particularly the middle layer of the eye (uvea) which comprises the iris, ciliary body and choroid (inflammation ~ uveitis). Eyelid problems like an inverted eyelid (entropion) or everted eyelid (ectropion). The lacrimal apparatus may also be inflamed in conditions such as canaliculitis and dacryocystitis which may be due to infections. This may also contribute to redness of the eye. A subconjunctival hemorrhage causes severe redness of the eye due to rupture of a blood vessel with coughing and straining. 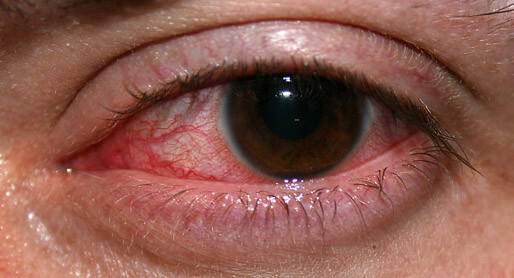 Allergic conditions leading to eye redness (allergic conjunctivitis) is not uncommon. Allergic conjunctivitis may be associated with atopy as is seen in patients with allergic rhinitis. It may persist throughout the year (perennial rhinitis) or occur as seasonal exacerbations like in hay fever (seasonal rhinitis). Dust, pollen and other airborne allergens are frequently implicated. Allergic conjunctivitis can occur on its own with no associated rhinitis (nasal inflammation leading to a runny nose). Allergic reactions may also occur with the use of cosmetics particularly eye makeup. This reaction is known as contact conjunctivitis. Some patients may also react to contact lens, particularly cheap cosmetic lenses, which may not be manufactured according to regulatory specifications. Eye infections may be due to bacterial, viral, fungal or parasitic infections. It is more likely to cause redness when it affects the cornea, conjunctiva, sclera, episclera and/or uvea (choroid, ciliary body and iris). When the eyelids are affected, it is known as blepharitis. Viral conjunctivitis is frequently seen in outbreaks (“pink eye” / epidemic keratoconjunctivitis) particularly among children. Bacteria. A number of bacterial species may cause infectious keratoconjunctivitis often following trauma, abrasion or with persistent dryness of the eyes. The most common are those bacteria that live on the skin including streptococci, staphylococci and Corynebacterium strains. Viruses. A number of viruses may cause conjunctivitis with herpes simplex type I and less frequently type II being the more common causes. Other viruses may be associated with viral infections extending beyond the eye, as is seen in herpes zoster opthalmicus, and rare viral infections are more likely to occur in those who are immunocompromised like HIV positive patients. Fungi. Fungal causes are uncommon and almost exclusively seen with severe pre-existing eye disease often compounded by the chronic use of corticosteroids and immunocompromised patients particularly HI positive patients. Protozoa. Acanthamoeba infections are more likely to be seen in contact lens users who wash lenses in tap water. Most infections affect the more superficial layers – cornea, conjunctiva, sclera or episclera. Deeper lying infections involving the uvea or other intraocular structures may be seen with progressing superficial infections that are untreated, after eye surgery, with severe eye trauma or related to orbital cellulitis. Ocular inflammation is largely due to allergies, infections and trauma. However, other inflammatory conditions may also be a cause for eye redness. This may be due to systemic diseases that later also affect the eye and is most prominent with autoimmune conditions like rheumatoid arthritis, scleroderma, Sjogren’s syndrome, and other metabolic and genetic diseases. Eye strain is a common cause of excessive redness of the eye. It is frequently seen after long periods of staring or gazing at a fixed distance particularly when reading, using a computer screen, television viewing and so on. It is known as asthenopia and is associated with eye dryness and straining of the ciliary muscles that control the lens. 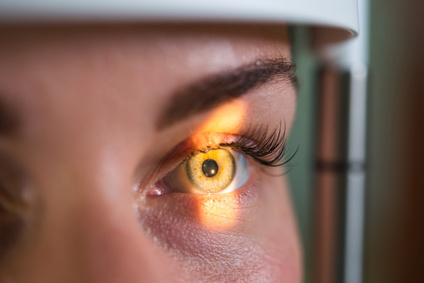 These factors irritate the eye and while there is no prominent inflammation, eye redness along with tearing are the common presenting features. Red eye associated with conditions that affect the tissue within the eye may be seen in glaucoma, particularly acute angle-closure glaucoma, foreign bodies within the eye after intraocular surgery, hypersensitivity to artificial lens used to treat a cataract and intraocular infections. Treatment options depends on the causative factor. However, a large number of cases of excessive eye redness are not due to any pathological cause. It does not require treatment but due to the cosmetic aspects associated with eye redness, patient may desire symptomatic treatment. These eye drops should not be used as far as possible. Instead preventative measures should undertaken to avoid redness of the eyes in cases that are not caused by any disease. Take note of other eye symptoms such as eye pain, visual disturbances, excessive tearing, swelling of the eye/eyelid and any loss of vision. Seek medical treatment as soon as possible and do not attempt to self-medicate or manage the condition at home. Consult with an opthamologist or other medical professional as soon as possible. Do not touch or rub the eye excessively. Always wash hands frequently with antimicrobial solutions especially when exposed to a person with “pink eye”. Do not share eye makeup and discontinue using it if there is eye redness. If the redness clears, discard the current eye cosmetics and switch brands. Rest the eyes frequently if staring at a computer, reading or driving for long periods. Anti-glare screens and UV protective eye glasses may help. Ocular lubricants can be used if there is excessive eye dryness due to environmental conditions which are unavoidable. Discard contact lenses if there is an infection and preferably opt for disposable lenses. Do not sleep with contact lenses or use it for long hours as this causes a growth of new superficial blood vessels. Always use appropriate agents to cleanse and maintain contact lenses. Use eye glasses of the correct strength and have regular checks, at least once a year, to keep the prescription up to date. Early treatment for eye and vision problems is the best way to avoid more serious disorders and complications.